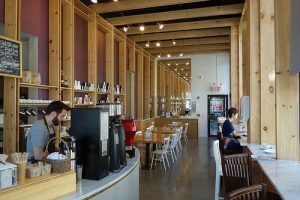 Jersey City is a major hub for commuters so finding a place to grab a quick bite and get your coffee fix is a must! 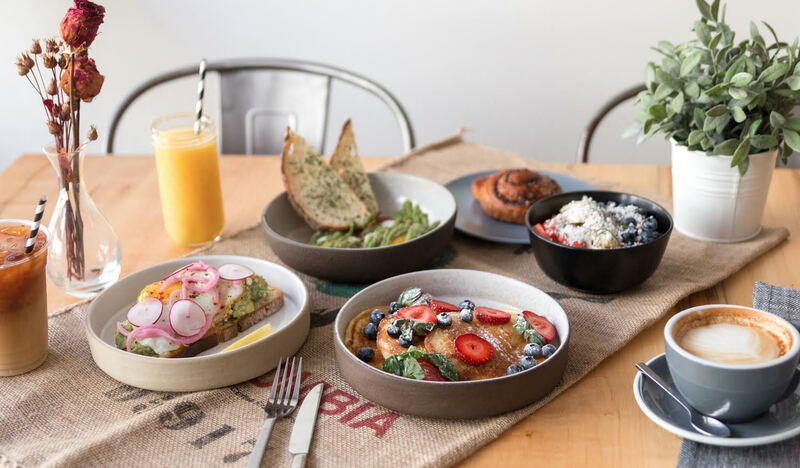 Known for its after work restaurants and hangouts, Jersey City offers a number of amazing and cozy cafes. There are so many options to choose from it may get a little overwhelming! Don’t worry, we’ve created a list of The 10 Best Cafes in Jersey City to get you started! 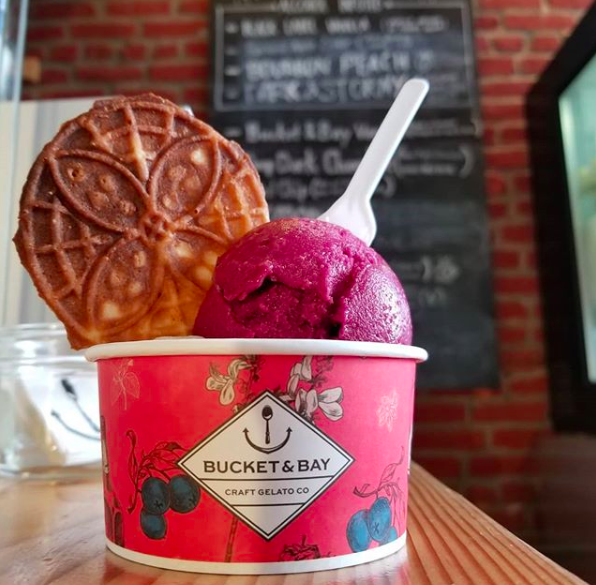 This Instagram-worthy cafe has not one but two locations in Jersey City making it the perfect fit on our list of 10 Best Cafes in Jersey City! Grab a beautifully crafted latte to go or take a seat and sink your teeth into a yummy meal. 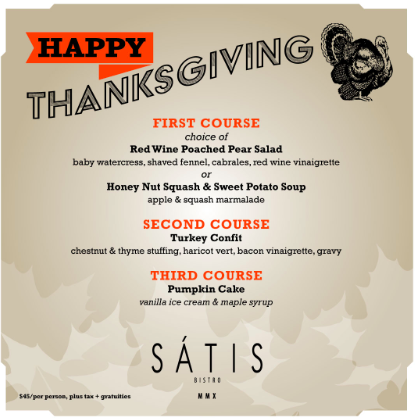 Both locations have a special weekday and weekend menu so there’s always something good to choose from. You know what pairs well with coffee or tea? Books! 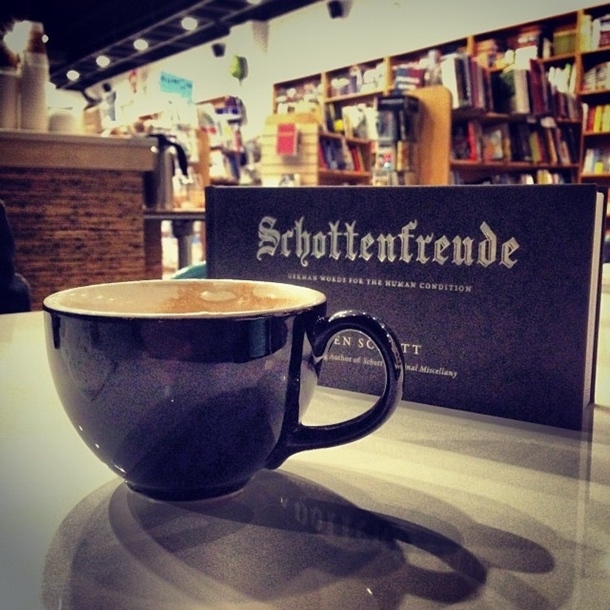 Bookworms and coffee lovers can live in harmony at the WORD Bookstore! 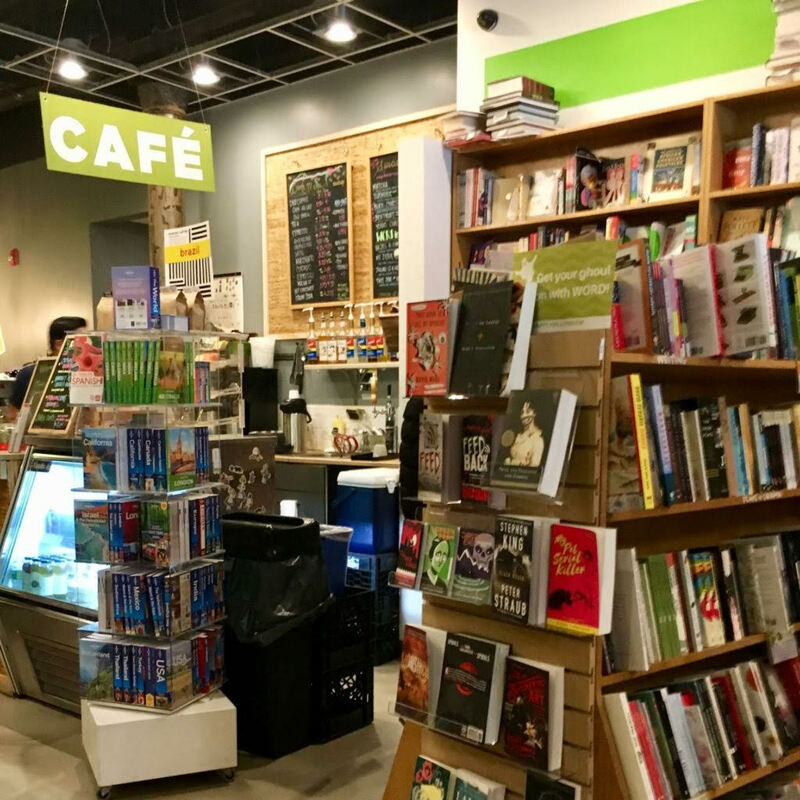 This is a cozy spot featuring a in-store cafe located right across from the Grove Street PATH earning it a spot on our list of 10 Best Cafes in Jersey City. There’s always something going on at WORD from celebrity guest readings, book groups and so much more. 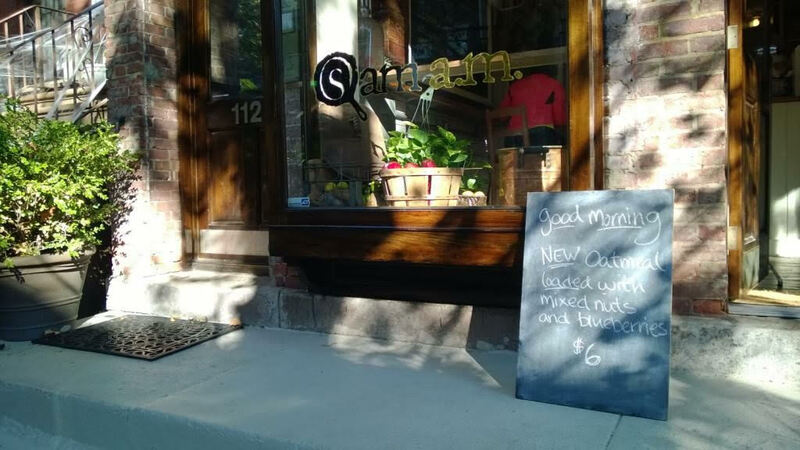 Located in the Van Horst Park district, Short Grain is a cute cafe that has a amazing menu! Choose from fun options such as Green Eggs and SPAM for breakfast or a hearty Coconut Curry Chicken sandwich. Don’t worry, they have vegan and vegetarian options as well! They offer dine-in, takeout and delivery options so you can satisfy your Short Grain craving anytime! The grind never stops at The Grind Shop! 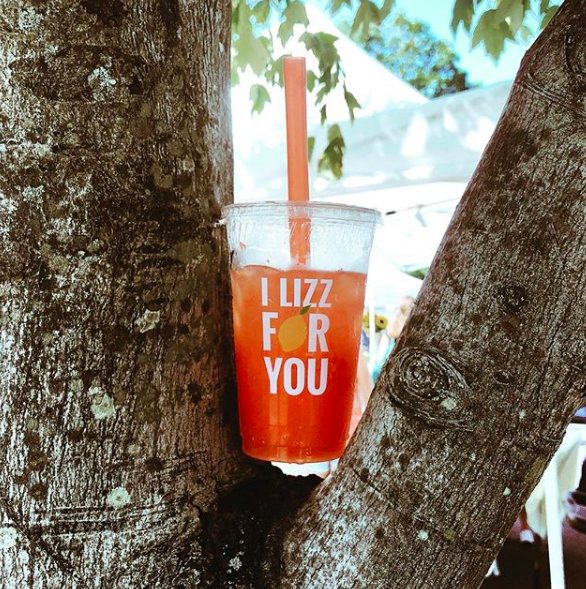 A fan of Doughnut Plant donuts but can’t make it into Brooklyn? 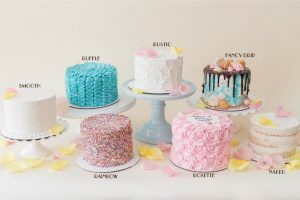 Assorted flavors include PB&J, tres leches, lemon rose and so much more! 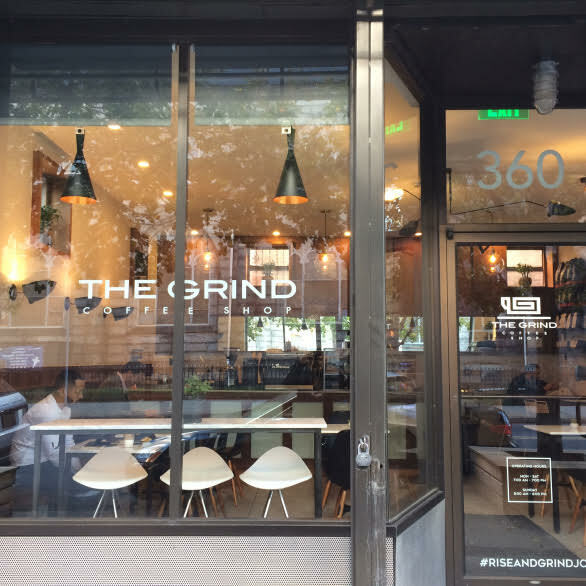 The Grind Shop offers the delicious donuts right here in Jersey City. The also proudly serve LA COLOMBE Coffee. 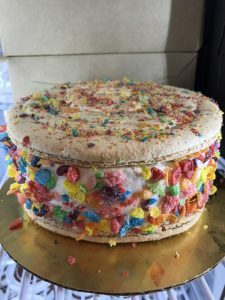 This Argentinian bakery and cafe is family owned and offer a variety of traditional bakery foods not normally found in the U.S. Their cafe menu are vast so there’s something for everyone. 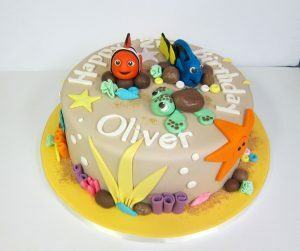 Happen to be looking for a custom cake for an event? 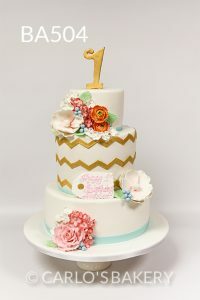 Dulce de Leche designs beautiful custom cakes that will become an amazing centerpiece for any party! 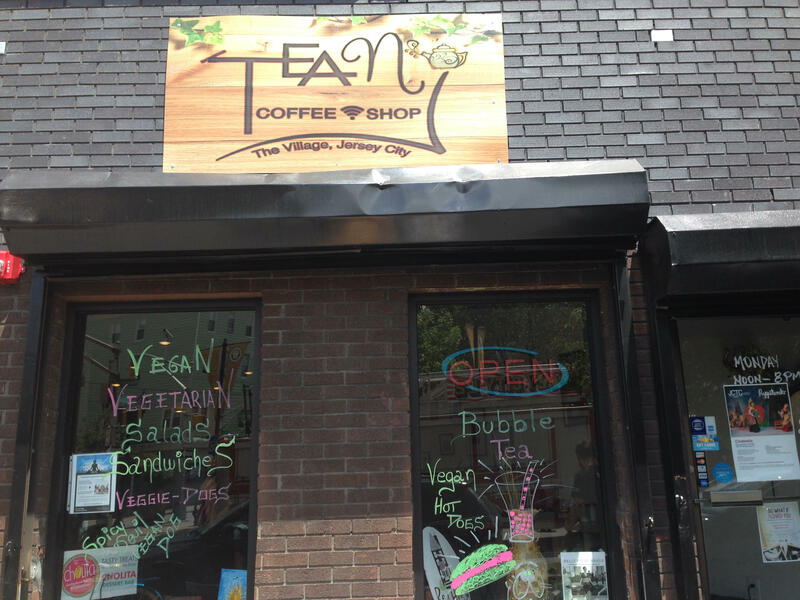 Next on our list of 10 Cafes in Jersey City is Tea NJ. 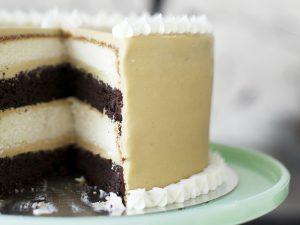 This is vegan paradise! It boasts that 90% of their menu is vegan friendly while the other 10% is a mix of vegetarian and meat-eater options. 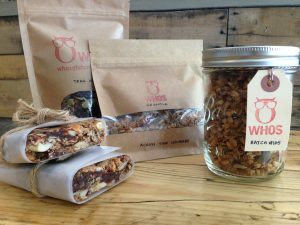 This artsy cafe is open daily until 6 PM and 5 PM on Sundays and offers delivery options! 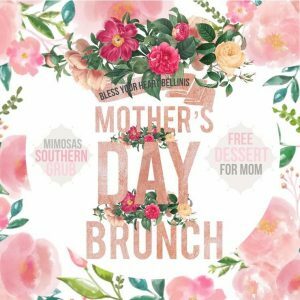 Tea NJ also offers weekend DJ brunches! 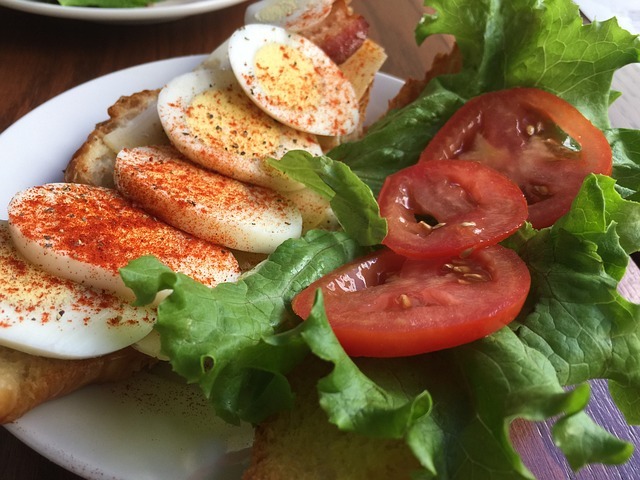 This quaint Paulus Hook cafe offers daily breakfast made from simple, fresh ingredients. Sam AM serves up a delicious cup of Stumptown coffee that you can enjoy while taking in the peaceful ambiance. 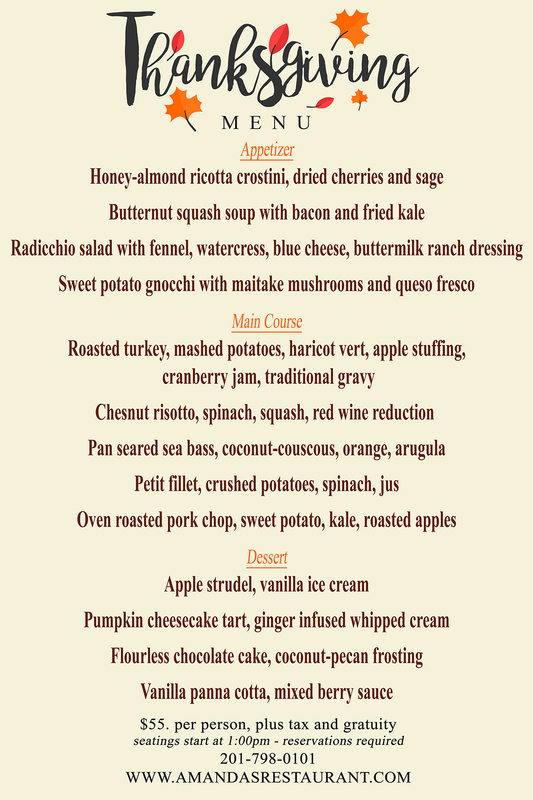 Sam AM also holds their Supper Club which is a reservation only prix fixe menu that is released weekly! 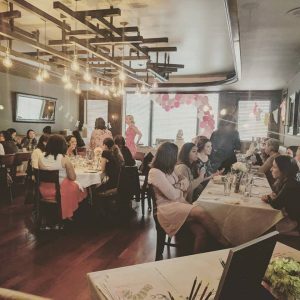 Make sure you sign up to their newsletter so you can stay in the know and reserve your spot because Supper Club space is limited! This hidden gem is a perfect place to take a gather yourself before heading to work or unwinding after a busy day. From tea to cold brew, Lackawanna Coffee has something for everyone. It’s also a 3 minute walk from the Grove Street PATH! 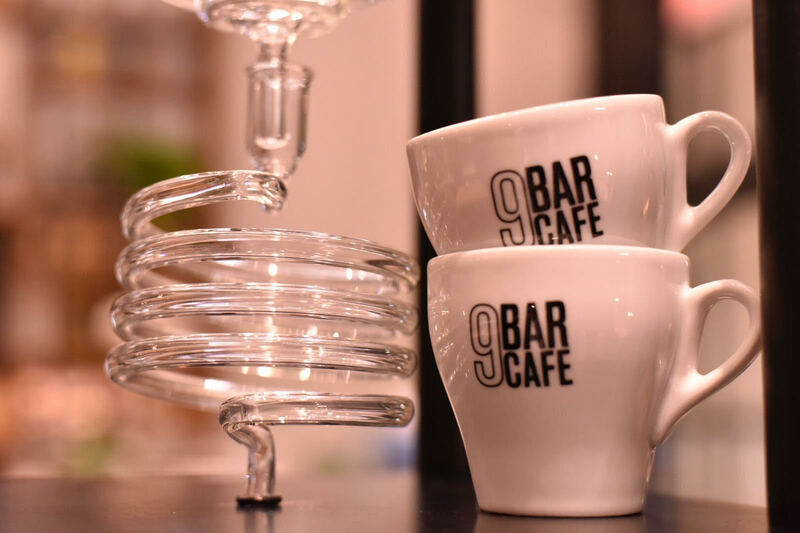 There’s always something to be in awe of at 9 Bar Cafè! From the atmosphere to its cups of coffee, everything is a “work of art.” The cafe was created by Stefania Cocozza who was born and raised in Rome. 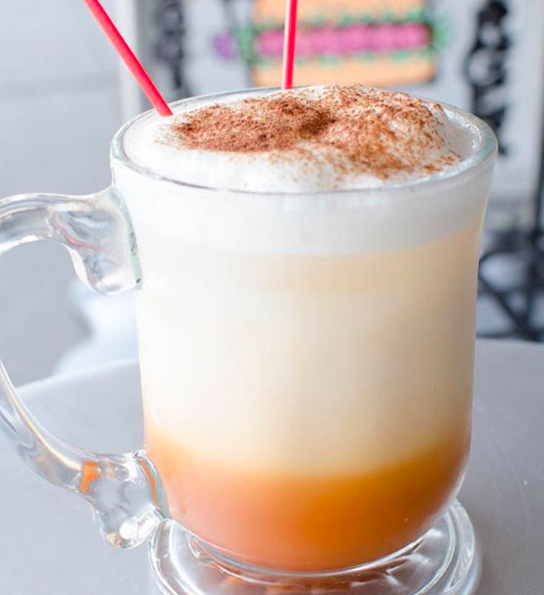 With over 20 years in the coffee business, she brings her passion for delivering amazing coffee and food combined with creating a warm environment to 9 Bar Cafè making it the perfect fit on our list of 10 Best Cafes in Jersey City. This cafe is living up to its name with its modern design. 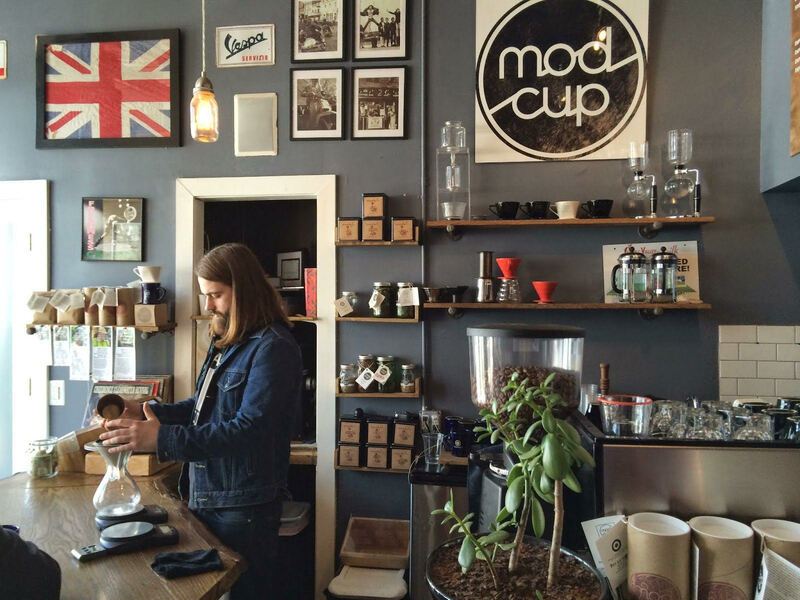 Modcup was born in 2013 and was founded on the principle of freshness and offering exotic and naturally pressed coffee. Want to get that amazing cup of coffee at home? Modcup offers coffee that you can purchase online! Whether you’re grabbing a coffee on your way to work or if you’re looking to study or just sit down and relax, there are plenty of cafes to pick from! 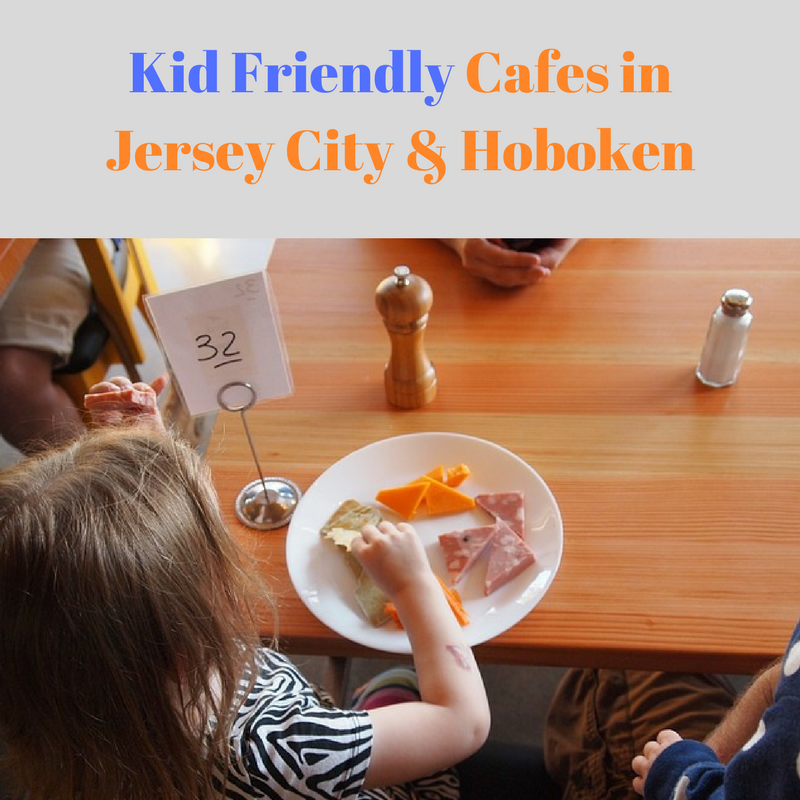 If you’re looking to bring your kids with you, check out our blog about Kid Friendly Cafes in Jersey City and Hoboken! 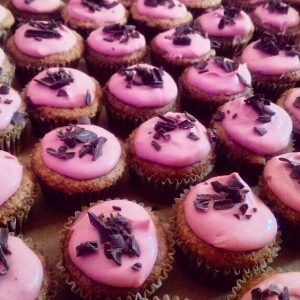 And should you prefer something sweet to go with your coffee, make sure to stop by our blog post about The Best Vegan Bakeries in Jersey City. 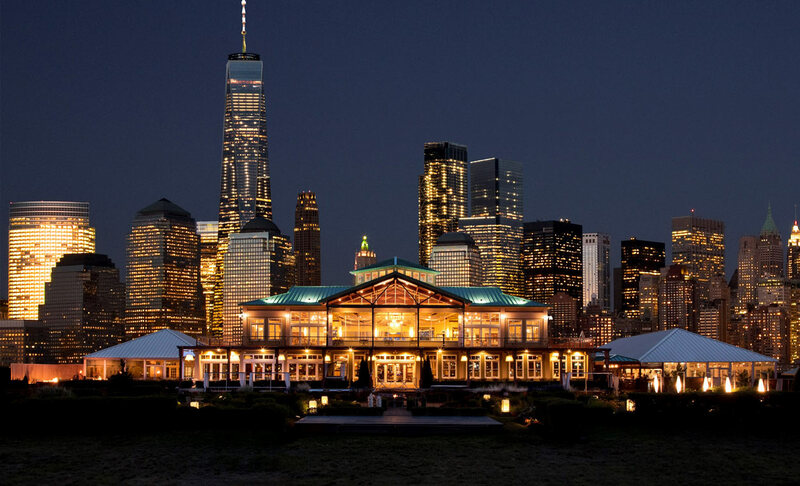 There’s definitely something for everyone in Jersey City! If you have any suggestions or concerns, or if there is anything you think we should add to the blog, send us an email to [email protected]! Margherita, Grandma, Three Cheese, Chicken Parm, Vegan pizza and more! 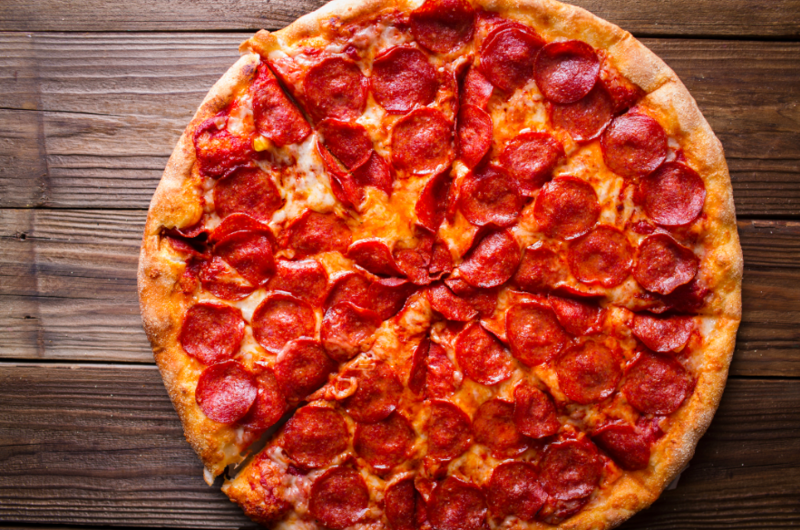 There are several types of pizzas to try that is can make your head spin. 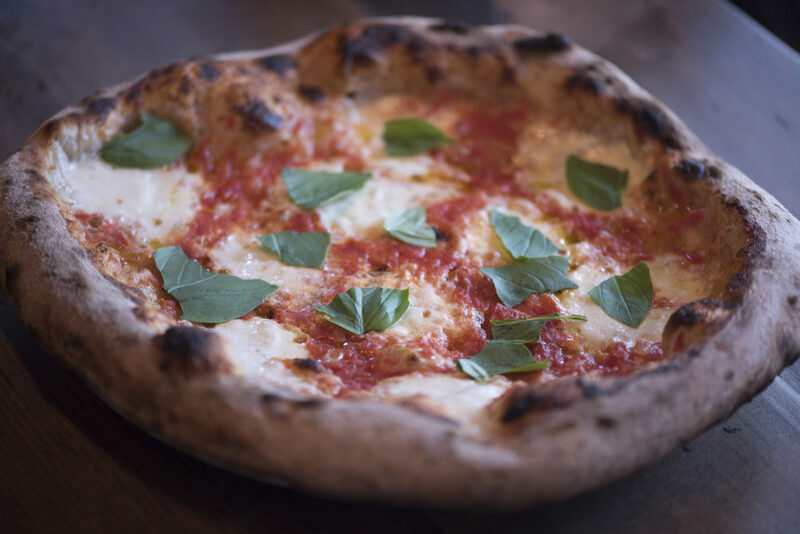 Luckily Jersey City is not only a great place to discover awesome restaurants but it’s a great hub for pizza! 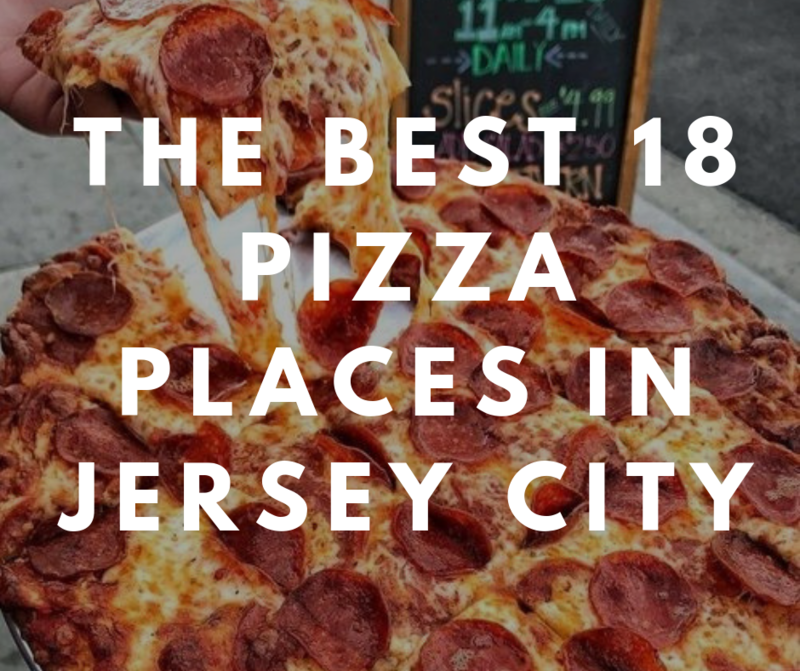 We’ve created a list of The Best 18 Pizza Places in Jersey City to satisfy the ultimate pizza lover! Porta Jersey City resides in a former pharmacy located right off of Newark Avenue’s pedestrian walkway (we kept the pharmacy sign, so you can’t miss it). Opened in 2014, the three-story restaurant includes one of the few rooftop spaces in the city, spanning an entire block with two full bars and dining. It’s become a central hub for the city’s faithful, New Yorkers looking to escape the boroughs, and people who just want to kick it, earning us recognition as one of the best late-night spots in the country! Krispy Pizza, a family business, won the “Battle of the Borough” (featuring pizza from all 5 boroughs and Long island) at the New York Pizza Expo 2005 sending a clear message, Krispy Pizza is the best. 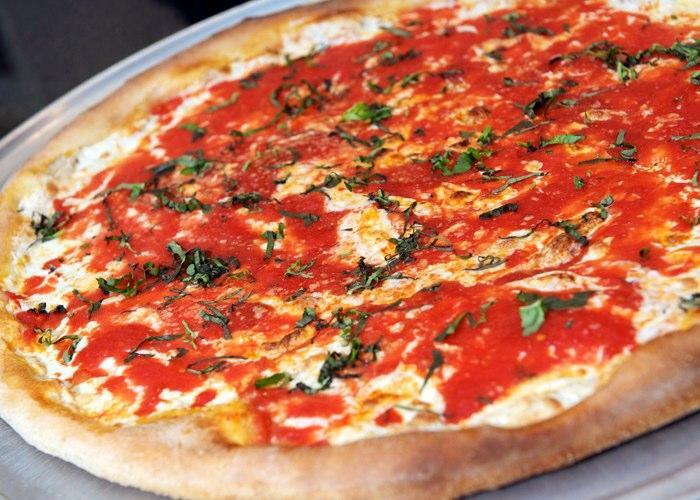 They’re award winning pizza makes Krispy Pizza a great fit on our list of The Best # Pizza Places in Jersey City! Delenio chefs specialize in authentic and delicious food. 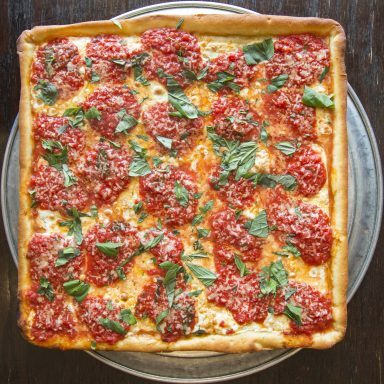 They use the freshest ingredients to ensure that every dish is of the highest possible quality making them the perfect addition to our list of The Best 18 Pizza Places in Jersey City. Located in Pedestrian Plaza, feet from the Grove Street PATH you’ll find Two Boots! 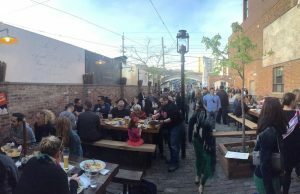 With comfy banquettes, sidewalk seating, wine and beer, and occasional live music, this is a great place for a lunch break from work, a family dinner or a late-night jaunt from one of the local bars. They even offer vegan options! 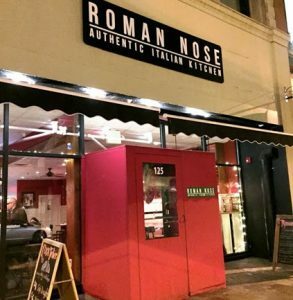 Roman Nose, Downtown Jersey City’s authentic Italian-food destination, is the culmination of Maria & Ruggero Fiore’s journey from a small farming village in the Lazio region of Italy to the heart of JC’s blossoming culinary scene. Together with their sons Frank and Raymond, they wanted to create a warm, welcoming, and relaxed trattoria atmosphere in which to share their love of high-quality, simple, clean food using the freshest ingredients. 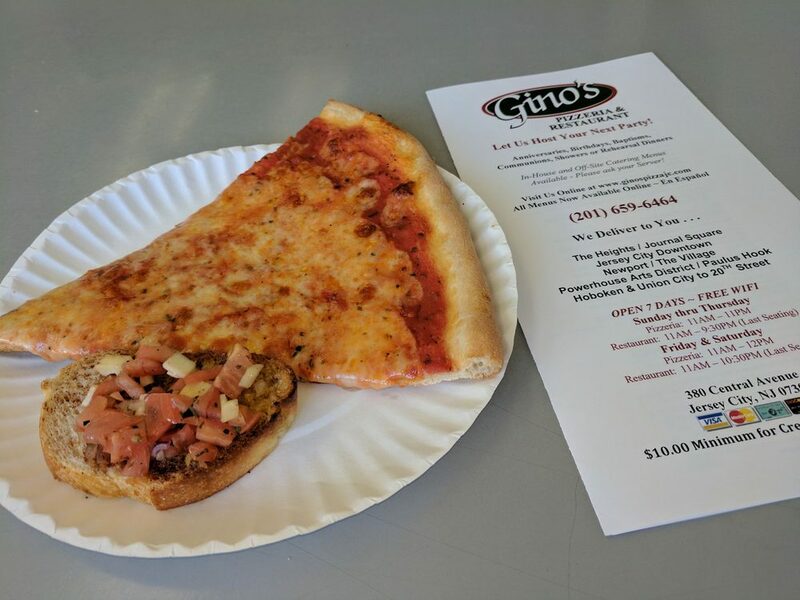 Gino’s is a Family-owned Pizzeria & Restaurant serving classic Italian-American dishes that have been the family for generations! 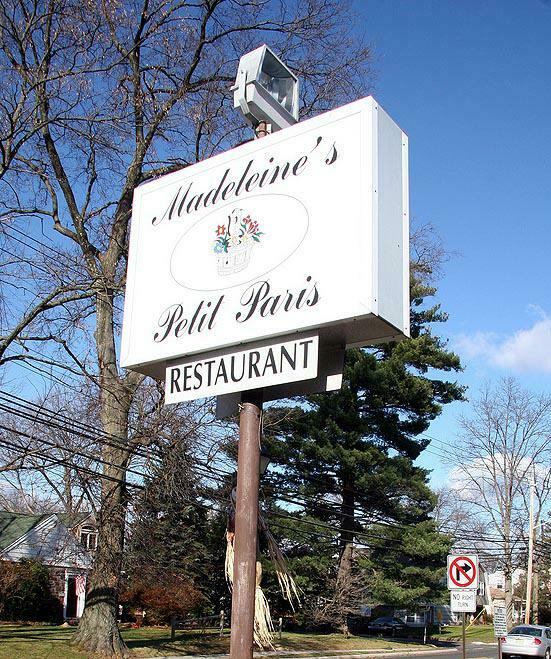 Founded in 1976, what was once a tiny pizzeria, has become a cornerstone restaurant for great Italian-American food! 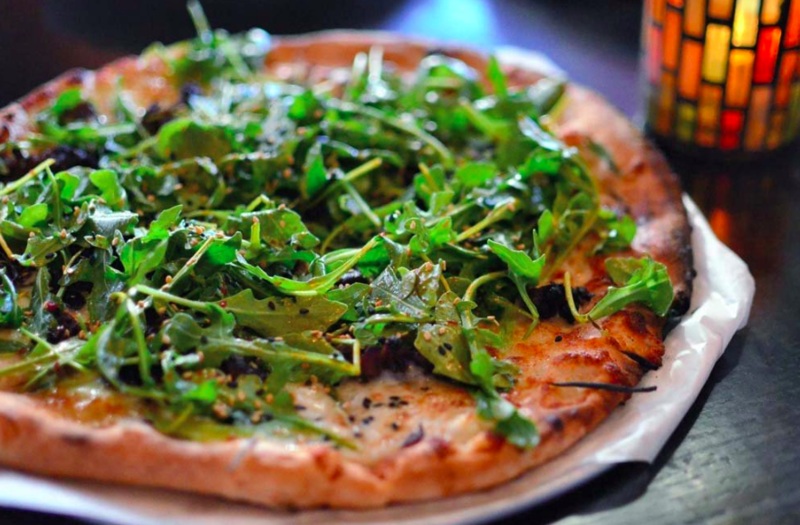 Order your favorite pizzas, pastas and salads from Rustique Pizza! 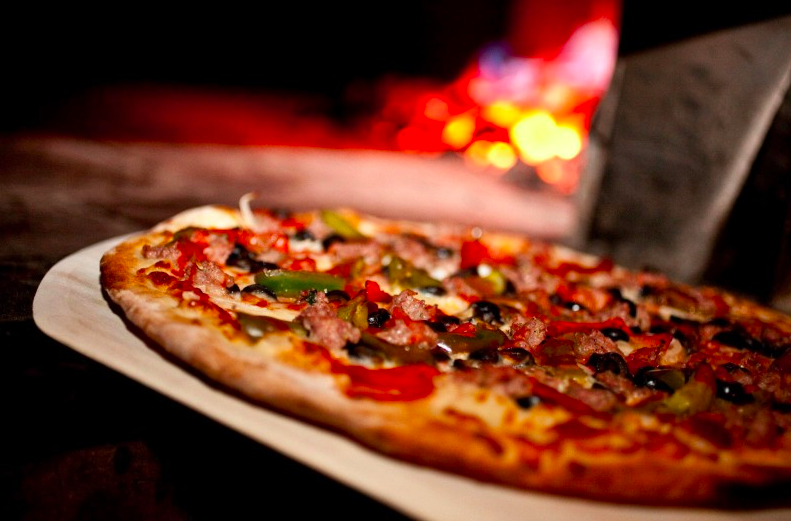 Using the traditional, brick oven method, you can taste the time and effort put into each slice! Rozza Pie keeps it simple with their ingredients! They are truly the place for the genuine pizza lover. At Razza, we aspire to the Italian way of cooking and eating, where location and seasonality dictate their ingredients. 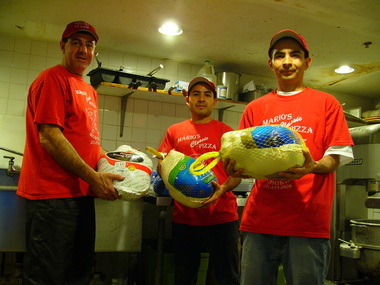 Razza’s ultimate goal is to serve the best pizza possible. 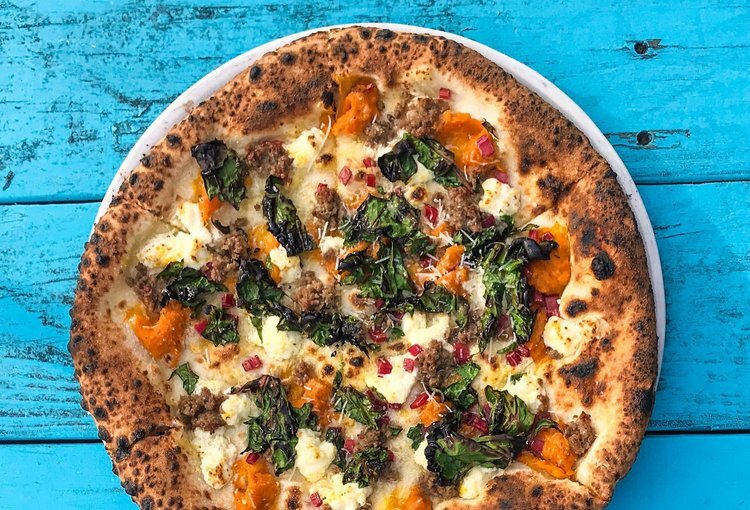 They are challenging the common practices of pizza-making in the hope of influencing the industry and elevating the overall quality of pizza in America earning it a spot on our list of The Best 18 Pizza Places in Jersey City! Park Pizza has been called “pretty dang delicious” by Yelpers and they seem to keep coming back for more! 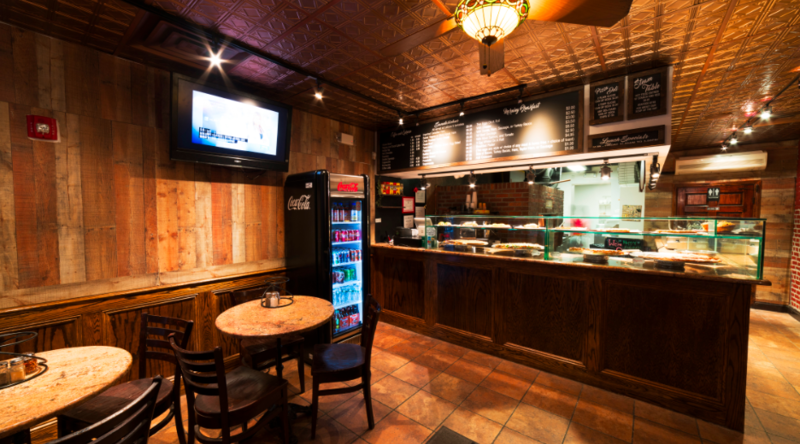 Thin-crust & Sicilian pies served in a corner brownstone space with bay windows & sidewalk seating seconds away from Jones Park and Hamilton House! The first Singas Famous Pizza Restaurant Opened in 1967 in Elmhurst, NY. Today, after decades of building its reputation, Singas Famous Pizza has brought their legendary flavor to Jersey City! 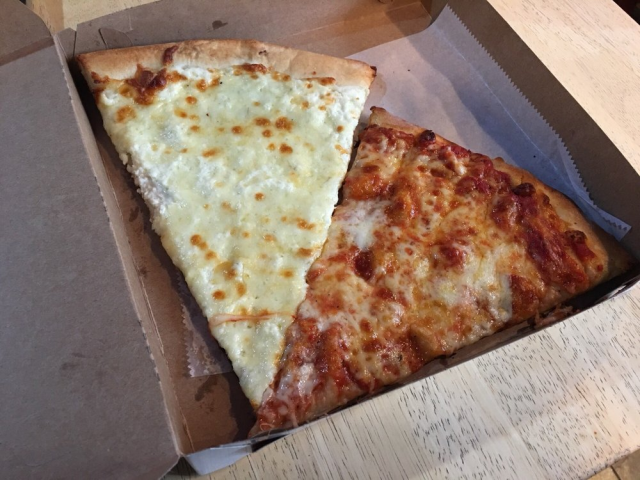 Favia Pizza is a staple pizzeria to Jersey City and it can be found right across from the Grove Street PATH stop! Every pie is baked in our stone-fired oven! Want to pair your pizza with something else that’s yummy? Paparazzi Pizza also serves the on of the best buffalo wings in the tri-state area! 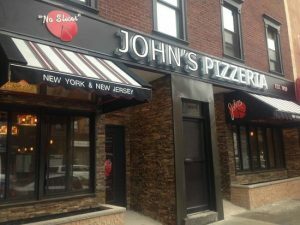 John’s of Times Square has been voted one of New York’s best pizzas because of its unique characteristics and they have a location in Jersey City! All pizzas are made to order in one of our four coal-fired brick ovens and like a cast iron pan, our ovens season with age, making no two pizzas the same. 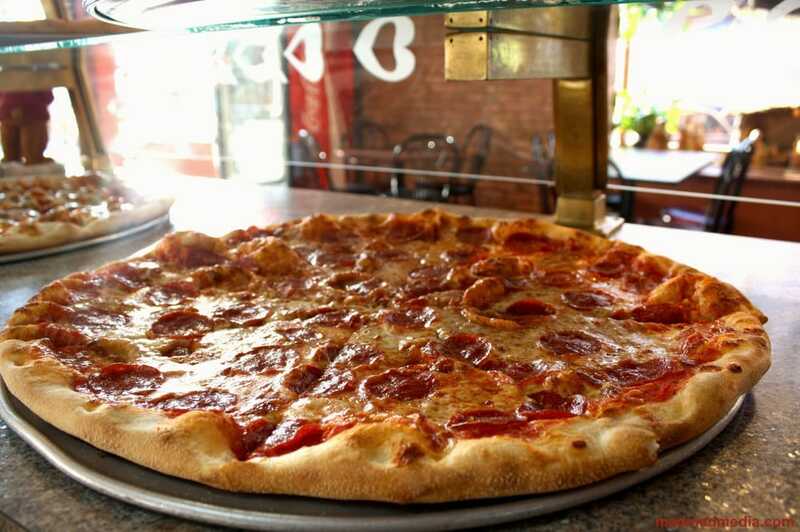 Pion’s Pizza offers great pizza minutes away from Hamilton Park! From pizza to lasagna, satisfy your Italian food craving with Larry & Joes! 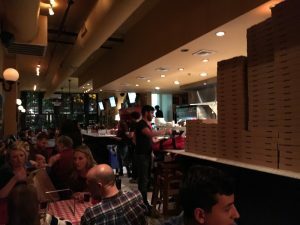 Alex’s Italian Restaurant & Brick Oven Pizza has established a reputation for providing highest quality food, excellent customer service and speedy delivery to customers in the Jersey City! 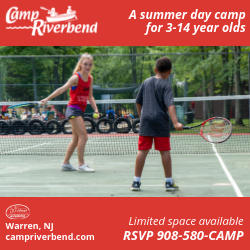 Looking to take a trip outside of JC? 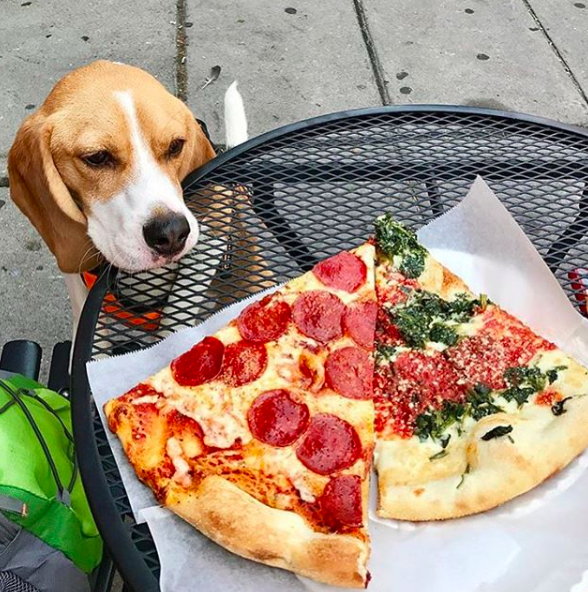 Hoboken has yummy pizza options as well! Maybe you’re all pizza’d out and looking for something else! 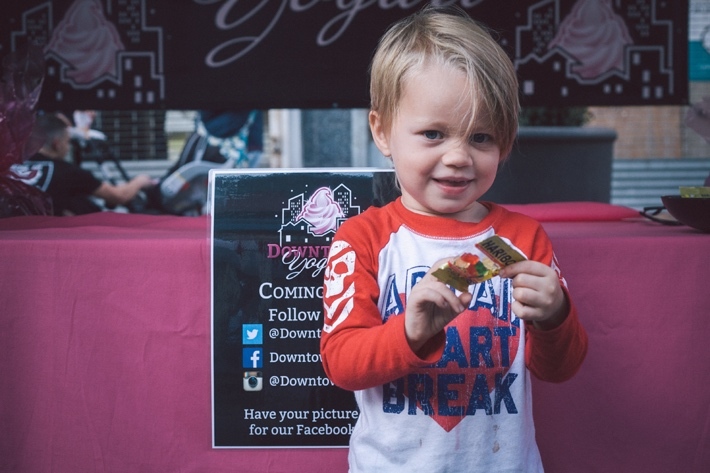 There are plenty of options to sink your teeth from ice cream to gluten free options! 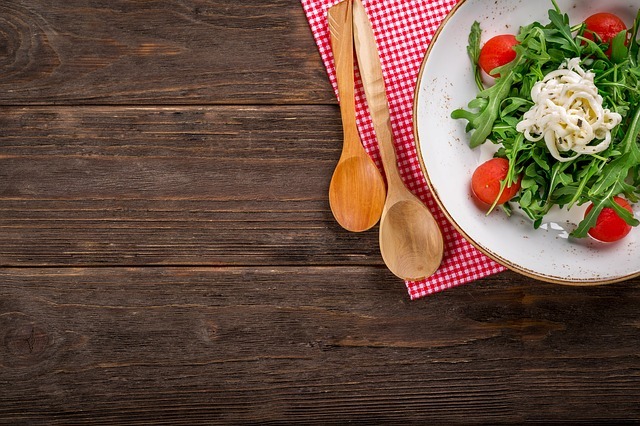 If you are sensitive to gluten or dealing with celiac disease, it can be hard to find trendy and appetizing places to eat out. 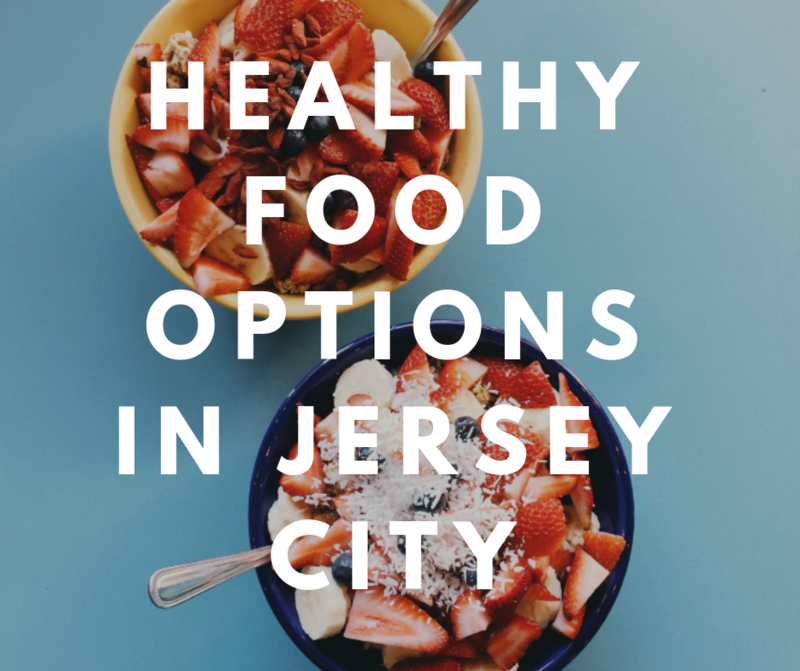 Thankfully, there are plenty of amazing options of Gluten free restaurants in Jersey City to choose from that offer delicious gluten-free options for every meal. To always be on the safe side, make sure to contact the restaurant directly to make sure they take proper precautions when handling gluten free meals. 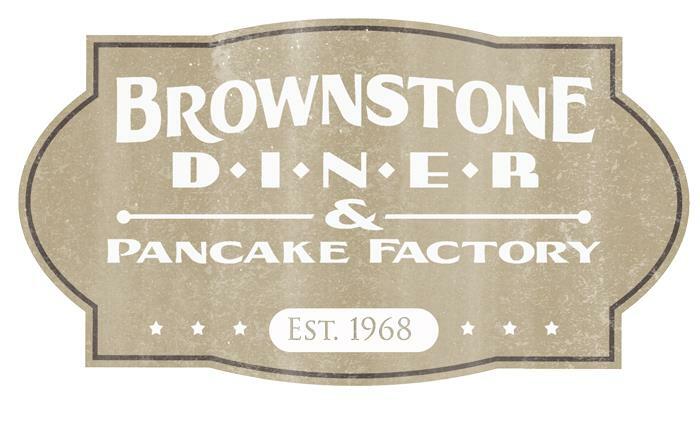 Everyone loves breakfast food, but if you are tired of being stuck with omelets, Brownstone is the perfect place to go to get your pancake fix. If you thought you would never be able to eat a pancake again, prepare to be amazed by their vast selection of tempting creations. 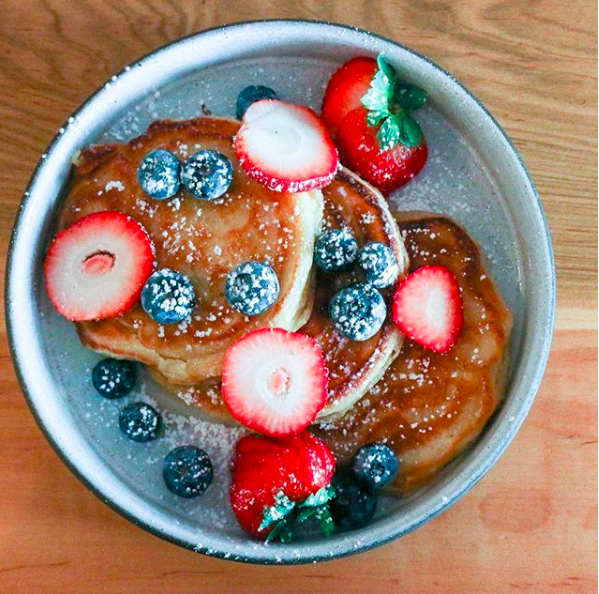 Aside from pancakes, they also offer gluten-free options for any selection on your menu. 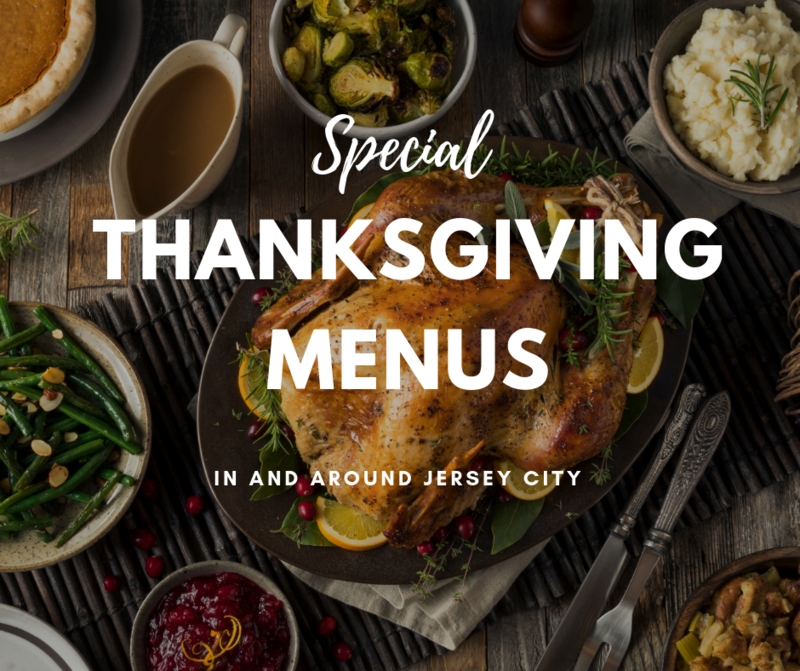 This is truly a destination spot among Gluten free restaurants in Jersey City for foodies of all ages and was even featured on Diners, Drive-Ins, and Dives thanks to their creative menu that’s available all year round. 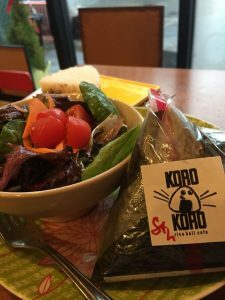 Koro Koro is one of the best places to go for a meal if you are trying to avoid gluten and looking for Gluten free restaurants in Jersey City. 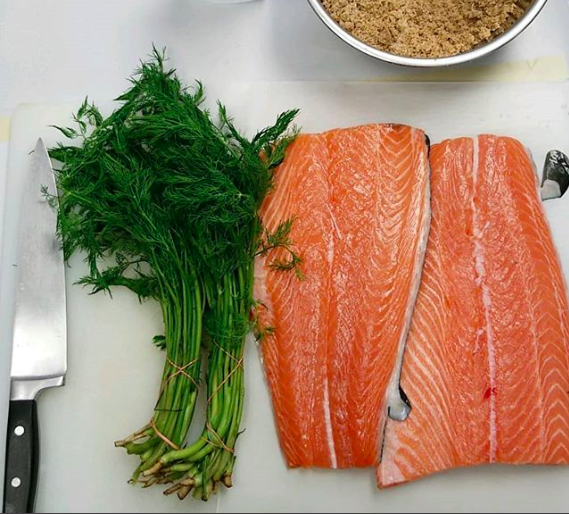 It’s a haven for those who have Celiac disease thanks completely gluten-free kitchen. Yes, everything cooked or served here is completely gluten-free! The rice balls are a cute meal that’s fun for all ages and makes a great comfort food for those who want a range of meal options to choose from. The environment is friendly enough for a night out with friends and trendy enough for a date with that special someone. 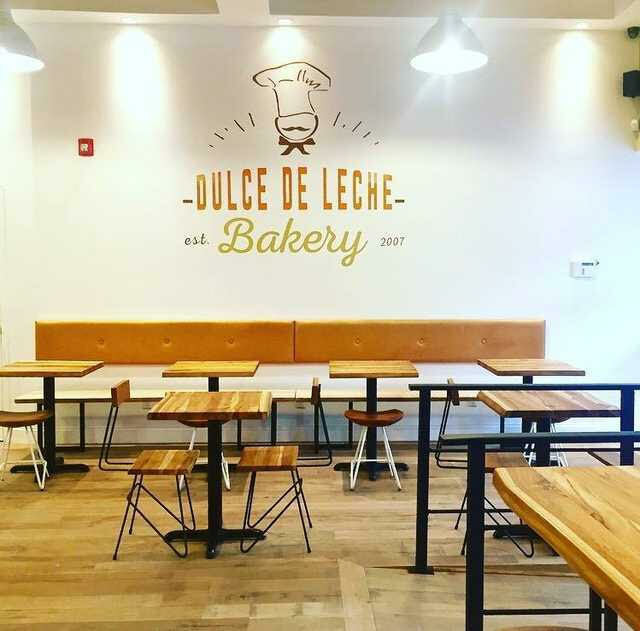 Located in the lovely downtown Jersey City, it’s a great place to enjoy the scenery while you enjoy a plantain and pork filled Cuban rice ball, or enjoy a bowl of delicious Miso soup. One thing a lot of people who avoid gluten miss is a good old pizza pie. 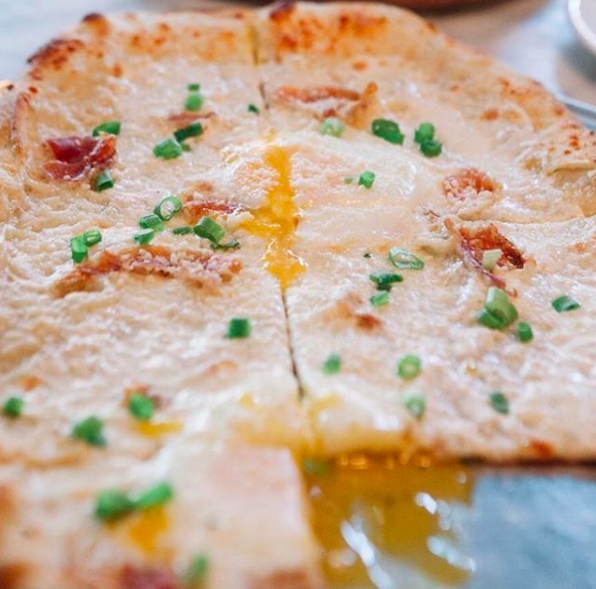 Thanks to inclusive restaurants like John’s Pizzeria, you no longer have to watch on in envy as your friends much on this cheesy gooey treat. 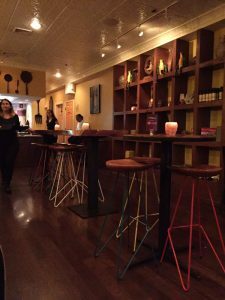 If you are looking for Gluten free restaurants in Jersey City, this is the perfect spot. 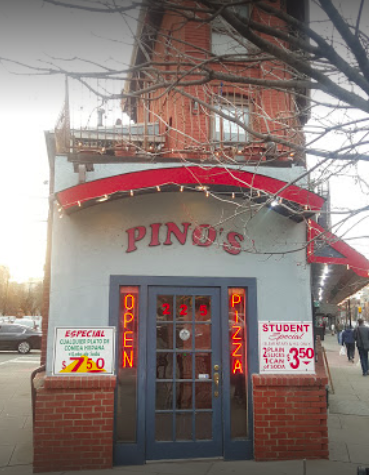 Placed in the heart of Sussex Street, near the Paulus Hook area, this eatery provides generous personal pizzas made from their own blend of unique pizza dough filled with a selection of toppings to fit just about any type of craving. 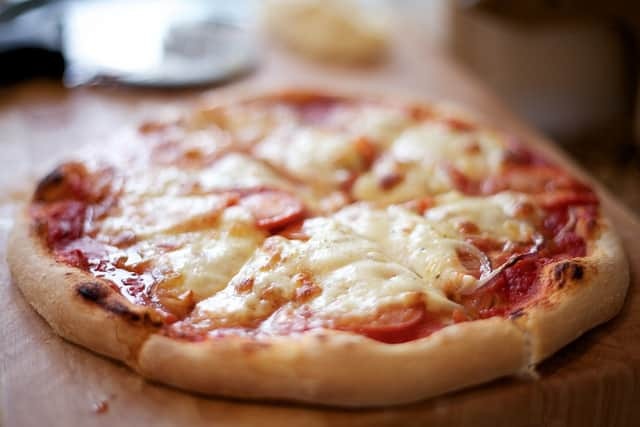 Regular pizzas are also served at the same location, but gluten-free selections are cooked in their own pans so you can eat without fear of cross-contamination. You can even order online if you don’t want to wait or venture out into traffic which is always a plus. There is nothing like a good old-fashioned Italian meal on a cold winter night to warm you up, but for those with gluten sensitivities, finding good Gluten free restaurants in Jersey City that serve pasta can be a challenge. Roman Nose is one of the best places for gluten-free Italian food that doesn’t skimp on taste or water down the traditional experience. Their gluten-free pasta option is made with quinoa and can be used in just about any dish they offer from their menu, they have all of the regular options for everyone else, so it’s the perfect place to hang out with friends without feeling like the odd one out. Their food is labeled clearly so there are no accidents, and we suggest Casarecce alla Norma, we guarantee you won’t be disappointed. 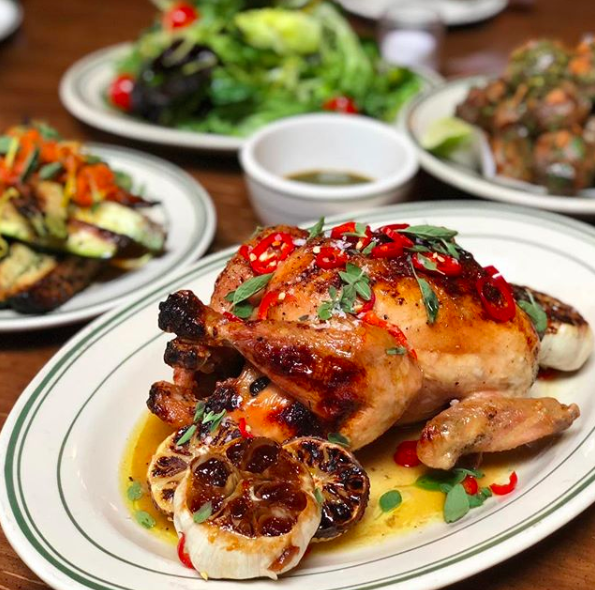 In the New Jersey City and surrounding areas, Who’s Gluten Free is probably one of the most popular locations on our list of Gluten free restaurants in Jersey City. 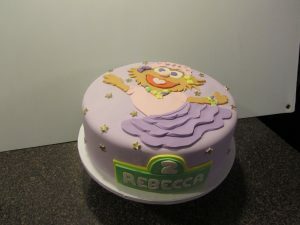 Not only is it gluten-free, but is also celiac safe! The owner of this kitchen herself has been diagnosed with celiac disease, so she understands just how important it is to get recipes exactly right. They are closed for the month of August since they are moving to a larger kitchen, but you should certainly keep them on your list. 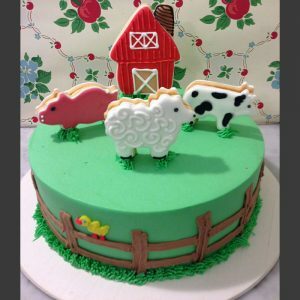 Follow them on FB for up to date recipes and menu offerings, or just to drool over their mouthwatering cakes and pies. 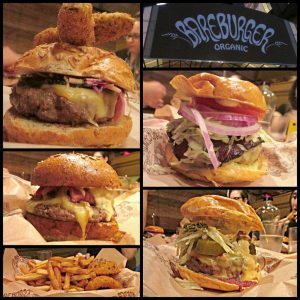 Building a gluten-free burger just the way you want has never been easier than visiting your local Bareburger on Washington Street. 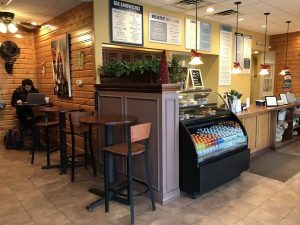 All of the burgers served here, and at all of their locations are moist, flavorful and completely free of gluten, they even have gluten free buns! You can choose which sauces and toppings you want on your burger, or you can grab a pre-made creation from the menu. 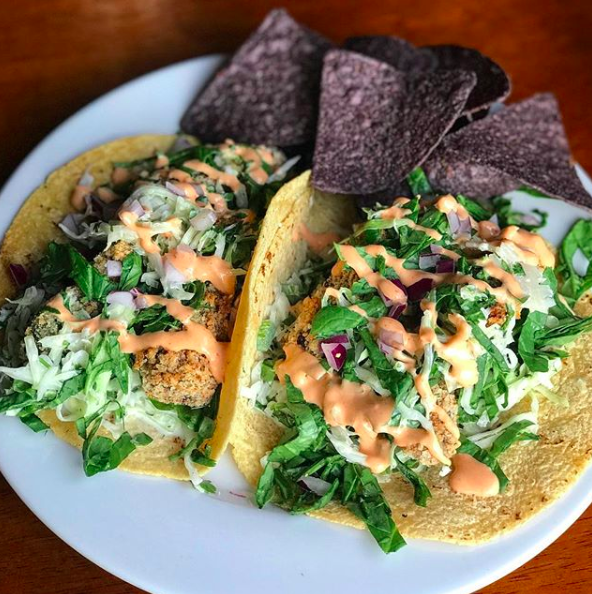 Their shared plates and sides also come in gluten-free or regular options, so there is something for everyone when you visit this trendy eatery, which has earned it a spot on our list of Gluten free restaurants in Jersey City. 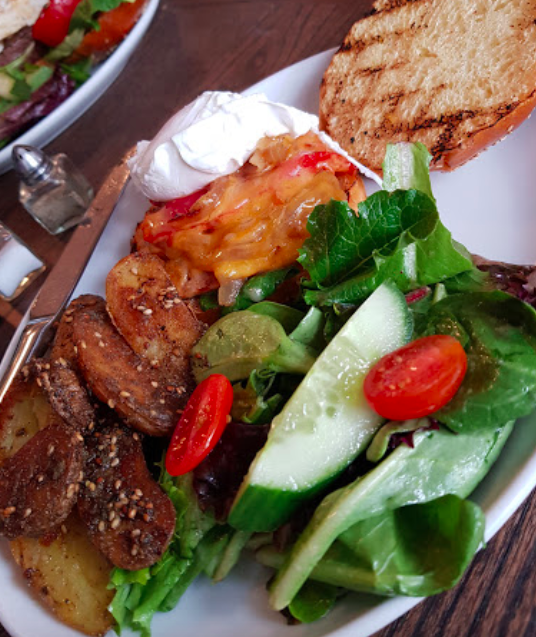 Subia’s is not only a great place to find healthy gluten-free food, it’s also a haven for vegan, vegetarian and organic choices that will leave your taste buds watering for more. 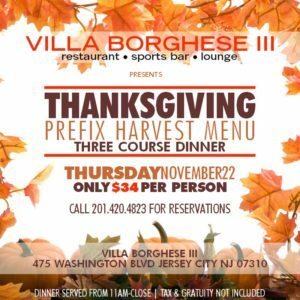 When looking for Gluten free restaurants in Jersey City, this is a top choice. 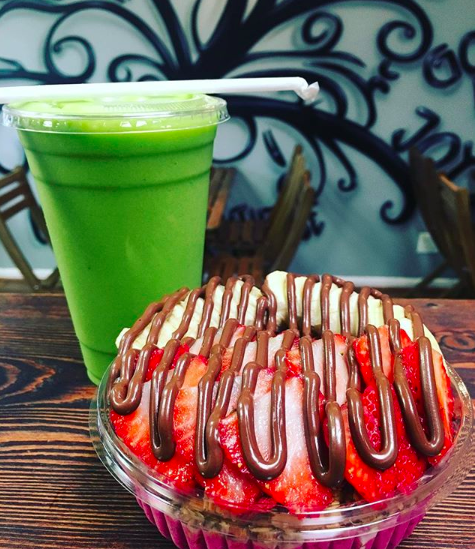 This combo market, restaurant and juice bar is a destination for everything organic and gluten-free. As for atmosphere, instead of a tree hugger, think more along the lines of old New Orleans. It’s not just for vegans or gluten-free foodies, even the ravenous carnivore will find themselves falling in love with the riblet sandwich or the walnut lentil burger & gluten free chicken nuggets. Contrary to popular belief, veggies don’t have to be bland and their whole menu is bursting with flavor. If you are not in the mood for sandwiches, come a little earlier to indulge yourself in some gluten-free waffles to satisfy your sweet tooth. When you think of gluten-free food, exotic flavors are probably the last thing you would expect, but this Indian restaurant is just the place to go to get your fix of spice! Most Indian food is gluten-free, but you can never be sure since flour is often used to thicken sauces and to make the bread, but here you can indulge your wildest culinary dreams with abandon. No other Gluten free restaurants in Jersey City hit the spot like they can. From the Medu vada or vegetable korma to the gluten-free thali’s and carrot halwa, you are sure to find a full plate that not only delights your senses but fills your stomach at the same time. 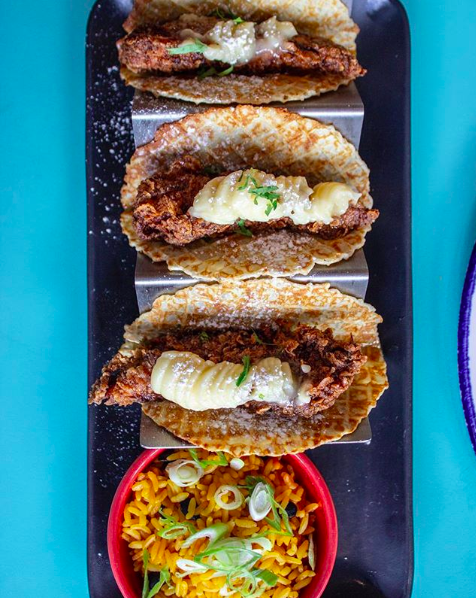 Gringo’s Tacos brings a fun and festive atmosphere to a new level of enjoyment! 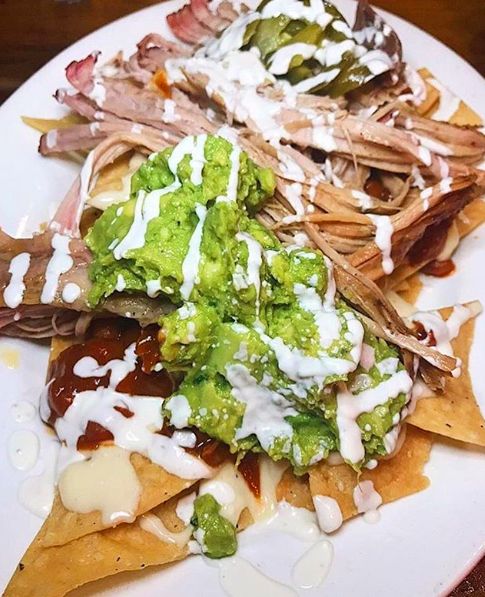 The party never ends at Gringo’s, with simple food and complex flavors to go around for all. 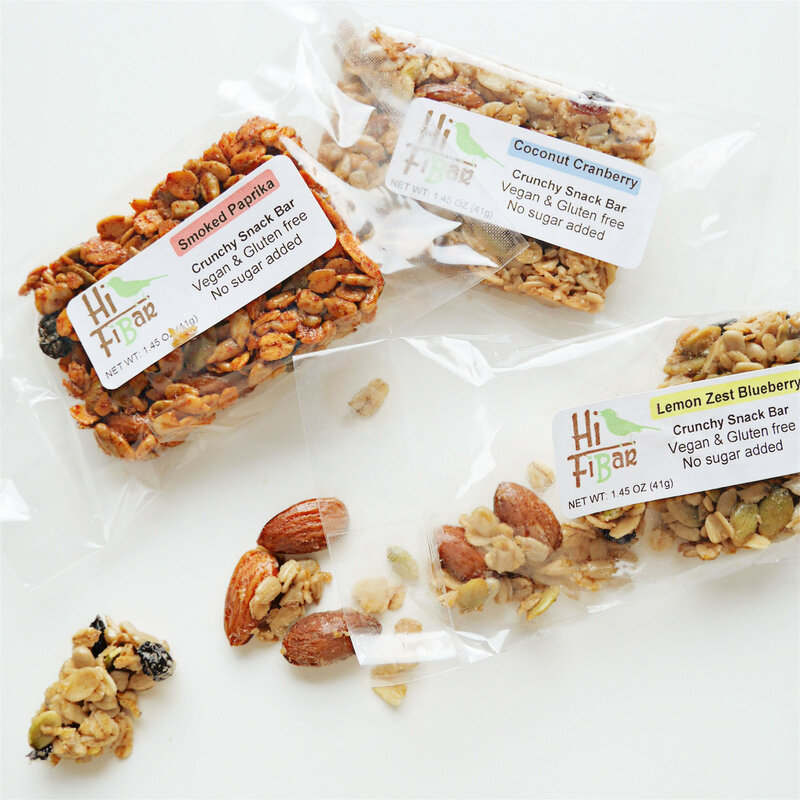 While looking through the delicious options on their menu and the vibrant photos on their Instagram, it’s hard to believe that something so yummy has a many gluten free options! Also upon request, tacos can be made on lettuce wraps for an even healthier option versus the corn tortilla. 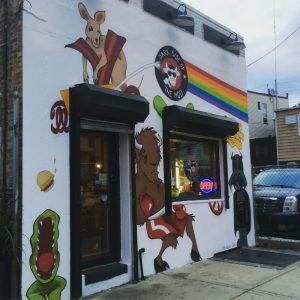 While browsing, Food Networks “45 Top Barbecue Spots from Coast to Coast” you’ll notice a very familiar name, Hamilton Pork. You know you’ve arrived when you see a pink neon pig in the window! The staff is very accommodating and they have no problem offering gluten free options for those who request it! JCFamilies has not discussed the detailed nutritional facts with these establishments. In order to make sure you’re getting the most out of these food choices, please check with restaurants ahead of time if you have any dietary questions or concerns! 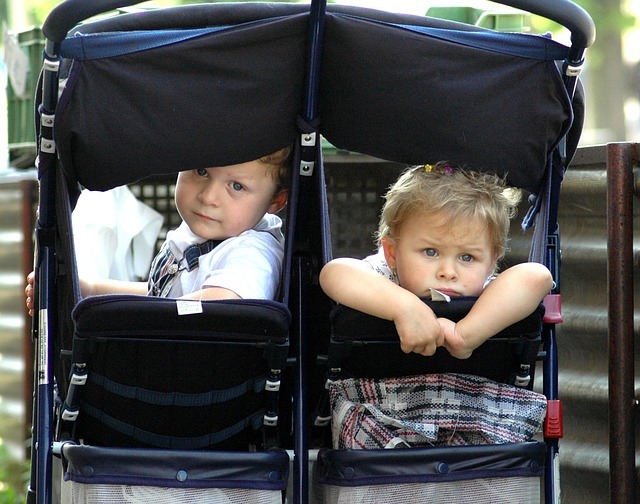 Are you looking for some of the best kid-friendly cafes in Jersey City and Hoboken? 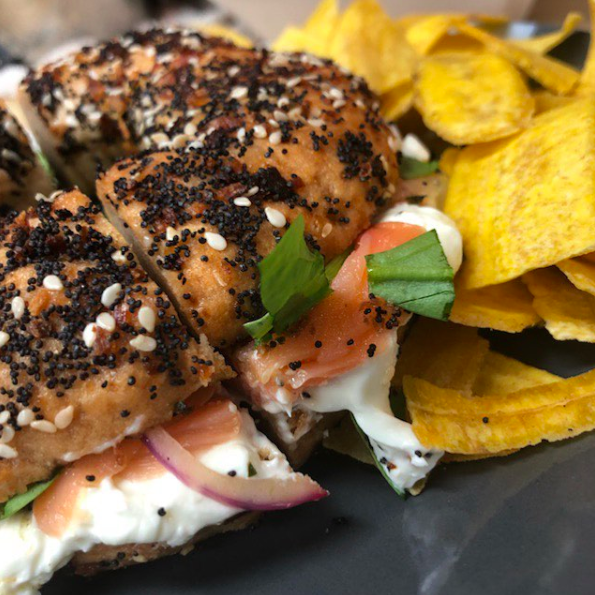 We have compiled a list of the yummiest and kid-approved cafes and restaurents to check out in JC and Hoboken! 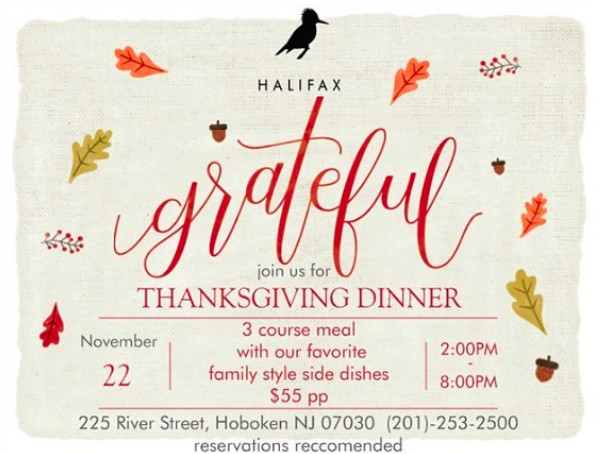 Be sure to take out the whole family for some delicious food at one of the awesome eating establishments. If you are looking for awesome pizza and Italian food, look no further than this kid-friendly restaurant. They specialize in a thin crispy crust with plenty of cheese and sauce, which makes this place a hit with the kids. 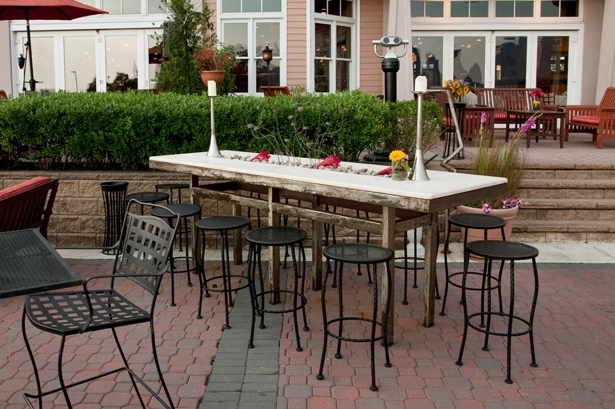 They also have outdoor sitting on the patio, making this place good for bringing the whole family. Although this may not sound like a kid-friendly place to eat, you could not be more wrong! The place is large, making it perfect for bringing strollers and you will often see strollers parked right at the end of the tables. 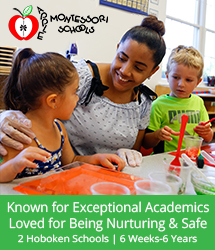 They offer kid-approved foods like French fries and soft pretzels. This is certainly one of the coolest kid-friendly cafes in Jersey City and Hoboken. 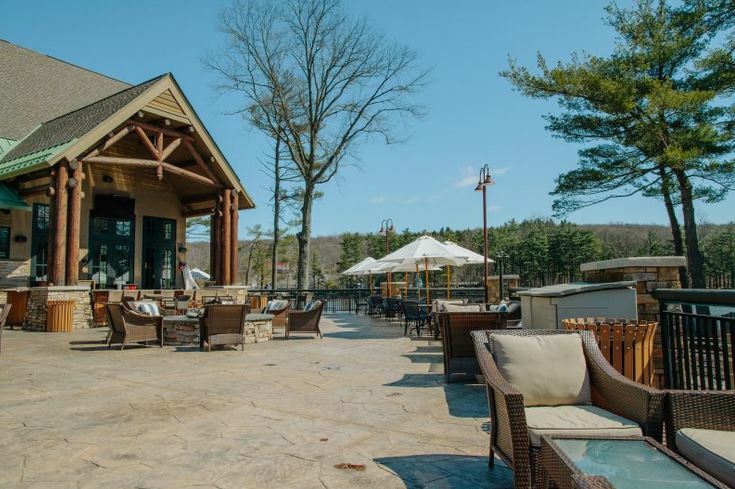 This is the place for a fun spin on traditional American style food – so it is a great spot for the little ones and picky eaters. 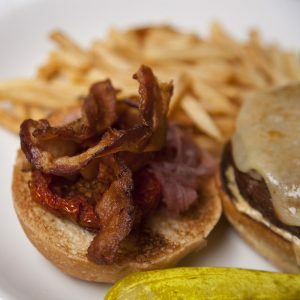 They are famous for their brisket burger, which is a must order for all of the adults at the table. They also have high chairs available and are super great able helping you set them up and bringing them to the table for you. 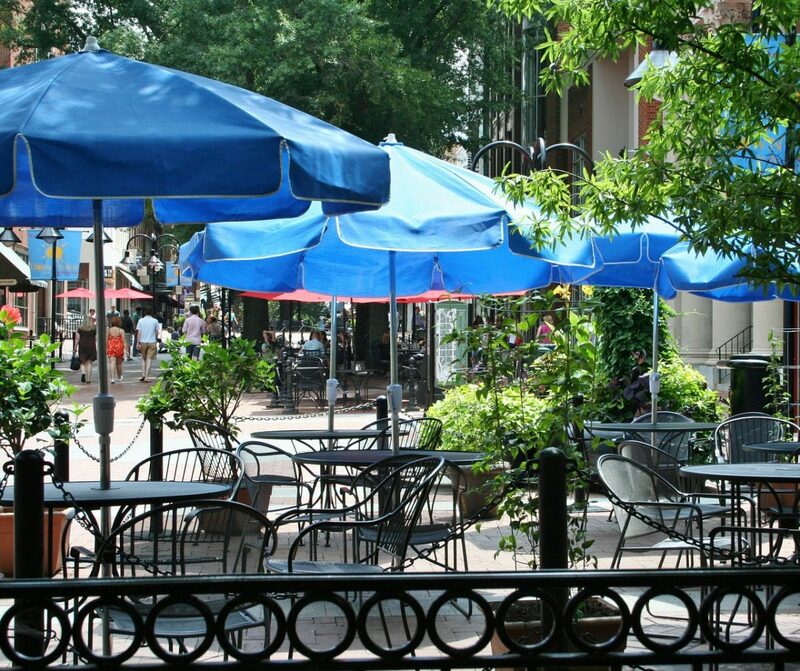 This cafe has great outdoor seating, plenty of room for strollers, and some good kid-friendly food options. They have burgers and fries, sandwiches, and soups all of which are perfect for kids. 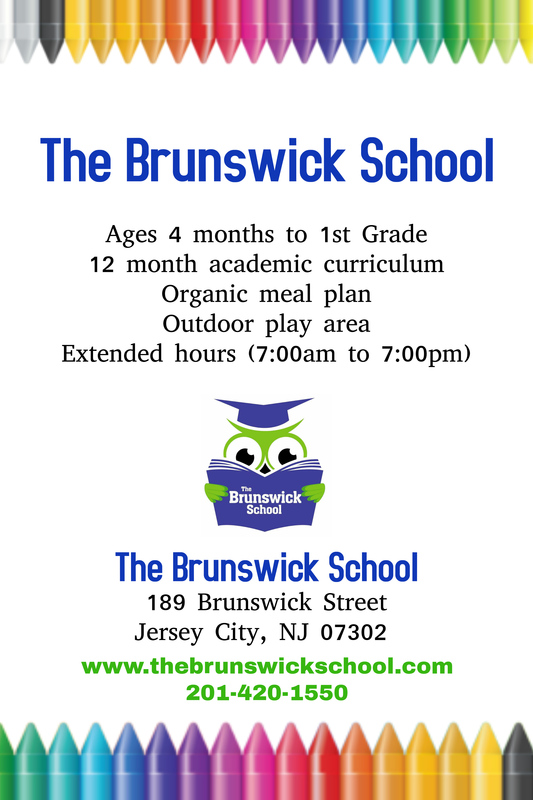 It’s definitely a trusty food establishment and a great option for kid-friendly cafes in Jersey City and Hoboken. This some of the most delicious and unique breakfast, brunch, and lunch items The Turning Point is one of the best kid-friendly cafes in Jersey City and Hoboken. Their food is always fresh and seasonal, and they have a ton of super healthy meal options off of their fit menu. 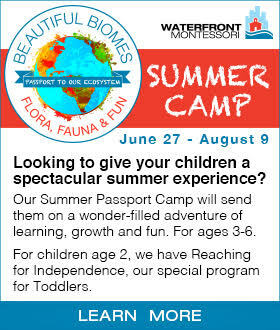 Kids will enjoy traditional french toast and pancakes for breakfast or lunch! Although this is a small cafe, it feels super homey and cozy, which is awesome for kids and families. They have some cool food options like alligator sausage, but you can stick with more traditional fare like burgers, fries, sandwiches, and wings. Kids will also love the decor and paintings of animals on the front of the building. 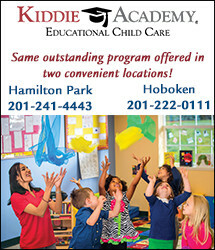 Check this place out as it is one of the best kid-friendly cafes in Jersey City and Hoboken. This is a perfect diner for delicious fluffy pancakes, french toast, sandwiches, and your other typical diner food. They have plenty of space for strollers and high chairs and the staff will make you feel like you are eating over at grandma’s house. 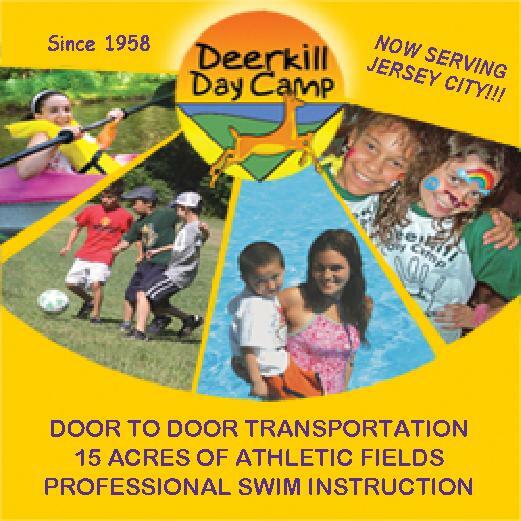 This is definitely one of the best kid-friendly cafes in Jersey City and Hoboken. Although this cafe may be for the more adventurous kid eater, it is still a perfect family-friendly eating spot. Your adventurous little one may love their butter chicken naan pizza! It is a great spot for parents who love Indian food as well. 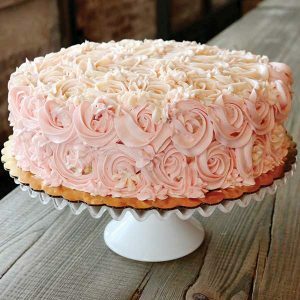 If you are looking to indulge in some delicious freshly baked bread, enjoy Bsomes sweets, or have a coffee (for the adults of course) you must check out this cafe and bakery. 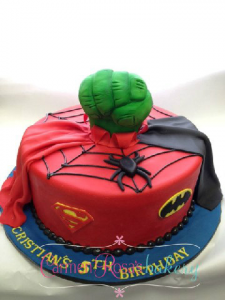 They have a little something for the whole family and it is sure to not disappoint. Prato Bakery is a piece of Tuscany in New Jersey. 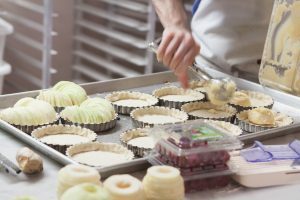 A little bakery with Italian style, where everyday our master bakers produce our baked goods. You can smell the bread, the focaccia, the pizza, the cantucci…as soon as they come out of the big oven that is in the middle of the bakery. You can see the bakers at work from the window next to the customers area. A place with coffee, cocktails, and delicious eats, this is a kid-friendly place, but also perfect for the adults as well. From pancakes to french toast to omelets to sinful grilled cheeses, your family is sure to love this unique cafe.